...this time on the doorstep! Lets go back to the 28th July and it was 28 degrees with full sun. ( Rain all day today). 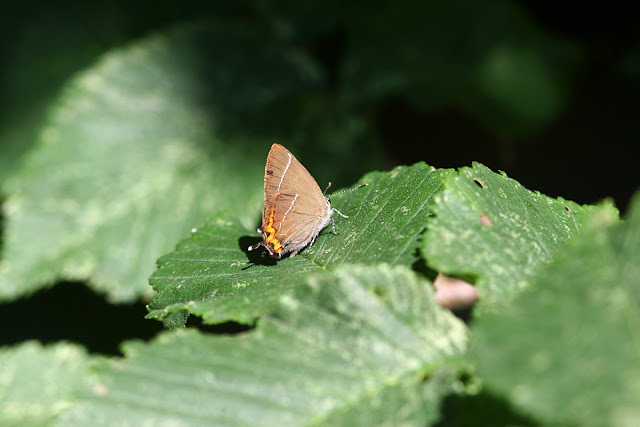 When we were down in Fermyn Woods I was hoping to catch up with White Letter Hairstreak, a very elusive butterfly in Northumberland. Our luck was out and it remained as hidden as ever. 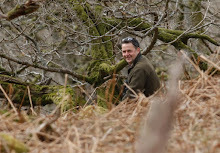 On our return, inspired by Iain Cowe's findings in the scottish borders only 30 miles to the North where he had located several spots for WLH up the Tweed catchment area, we decided to check elm trees locally. 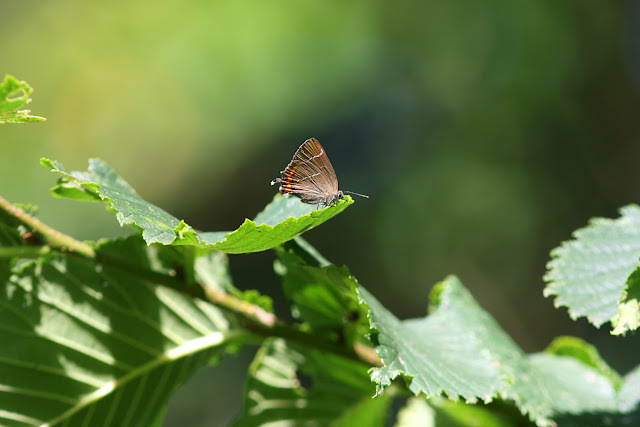 Unsure how to go about this, I met John in Alnwick and we had an idea to cruise around and stop when we saw some elms, preferably ones along the River Aln as there river valleys seem to be good spots for the butterfly. First stop was Canongate where some sucker elms were hanging over a tall stone wall. We stopped for tea and breakfast and scanned around. Across the road next to us was a mid sized bushy elm tree on a field edge. We were laughing about the hopelessness of it all when I noticed a movement through the outer branches. Tea forgotten, we scanned hard and there - a White letter Hairstreak! 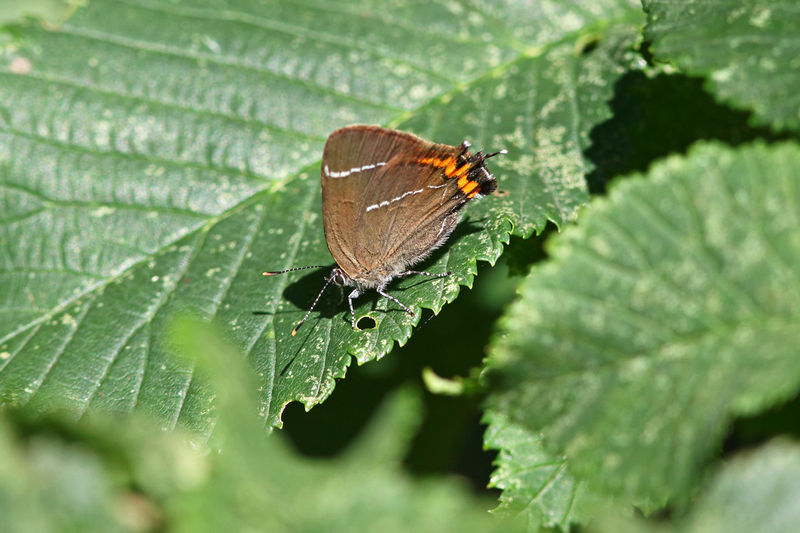 The first adult for VC68 after Iain had located eggs in February up on the borders. We hopped into the field and sat down. In a few minutes, one WLH perched out on the lowest branches and gave great views. We finally saw two more here making three in total. A great result, in our home town too. Surely this was a fluke? We drove across to the opposite end of town where the Aln runs east. Sure enough, a riverbank elm looked good so we gave it half an hour. Our luck was in, another 2 WLHs were flitting through the branches and landing briefly where good binocular views were had. Two sites in an area previously unknown for this insect cant be bad...I wonder how many there are out there? I've never seen WLH but I get the feeling they are everywhere, just a matter of getting your eye in. See https://www.youtube.com/watch?v=rTqPQj6xZtQ&t=1683s for instance.